We wear our hearts on our sleeve and do what we can for the world that has done so much for us. As a responsible group, sensitive to our environs, Royal Orchid Hospitality is always looking for means to contribute to society. The group has been active in supporting several causes and charities in the past and will continue to be part of the ecosystem that helps those in need and makes the world a better place for everyone. Royal Orchid Hospitality Group partnered with Dubai Cares to raise money for the Children of Somalia on World Food Day. Royal Orchid Hospitality Group supported the SNF Development Center to assist children with special needs by donating required funds to sponsor children and their transportation. Royal Orchid Hospitality Group partnered with Dubai Cares and Dubai Festival City to support a campaign on School Feeding, by raising funds to provide children with food and nutrition in schools across the developing nations. Royal Orchid Hospitality Group supported the Leanne Langmead fundraiser. Work hard and play harder! We encourage our hard working team to participate in various extra curricular activities organized by the company. Sporting events, social dinners, casual team meetings and talent shows are some of the many exciting activities within the Employee Welfare program. Royal Orchid Catering will ensure your guests are pampered and your event is memorable. We strive to push the boundaries of Hospitality and are always looking for the right talent. Looking to collaborate? Send us your franchise enquiry. Would any portion of this investment need to be financed? How much capital do you have for investment in a franchise? We cater for Private Parties, Corporate Events, Weddings or whatever the occasion may be. 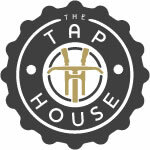 The Tap House is a beachfront restaurant and bar situated in Club Vista Mare on the shoreline beach – Palm Jumeira. Offering a variety of tap & craft beers from around the world as well as modern European cuisine with a sprinkle of American comforts. 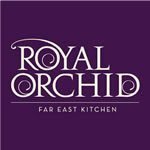 Royal Orchid, our Far-East Kitchen, is a multiple award-winning restaurant, offering a meticulously crafted menu of robust yet delicate flavors from Thailand, China, Japan and other corners of the great Far-East. 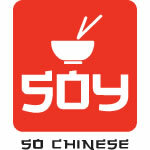 Soy is a modern casual restaurant that brings to your table a unique collection of contemporary Chinese delicacies, from the vaults of the forbidden kingdom to your modern palate. Chhappan Bhog in Dubai has risen to become an institution in the region and a household name for traditional and contemporary Indian sweets, North and South Indian cuisines and mouth-watering Indian street food. Curry Culture brings to Dubai, an intricate menu of rich and fragrant dishes from the streets and homes of the northern regions of India. 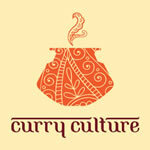 From delicate curries to robust Indian barbecue, Curry Culture will satisfy your curry cravings. WE MAKE GREAT FOOD AND GREATER MEMORIES. AND WE MAKE THEM FOR YOU. Since it’s founding, in 1993, The Royal Orchid Hospitality Group has determinedly striven and grown with the purpose of raising the bar in the world of food and hospitality. Envisioned and created by Mr. Ajit Mehra, The Royal Orchid Hospitality Group has been committed to deliver nothing short of exceptional services and products par excellence; to go above and beyond the high expectations of standards that has become synonymous with our name and all our ventures.